With extended family members living in faraway places, holidays are often hit-or-miss regarding who’s available to spend time with us. 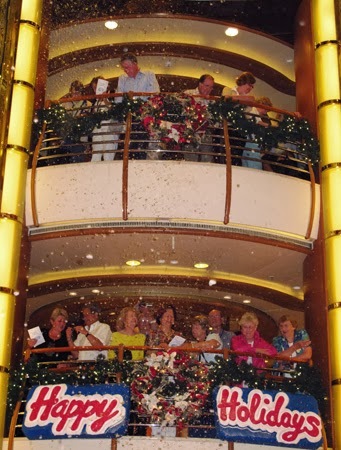 Last year, with the prospect of celebrating on our own, Larry and I decided to head south—as in the Southern Hemisphere—during December. While a visit to Australia was on our bucket list, we wanted to see more of that vast country than just a couple of coastal cities. 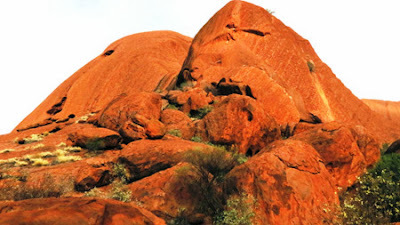 So we booked an excursion that allowed us to spend almost a week crossing the Red Desert of central Australia before boarding a ship for a cruise along the eastern coast of New Zealand. Actually, December is a good time to visit Australia and New Zealand because it’s summer there (equivalent to June in the Northern Hemisphere—sunset around 8:30 p,.m.). 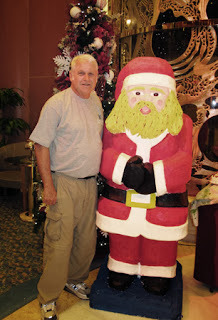 We left on December 6 and arrived on December 8 after crossing the international dateline. Both land and sea experiences were combined into the same 23-day excursion, which simplified planning on our part. 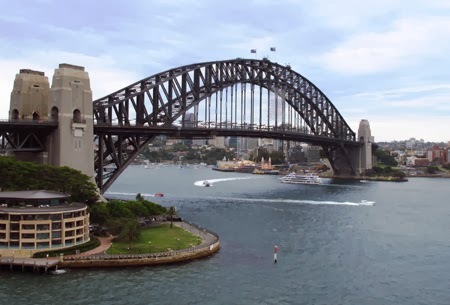 Our flight landed in the international city of Sydney at 8:20 a.m. on a Saturday morning, and a few hours later we enjoyed our first Australian experience by climbing the famous Harbor Bridge. After a late lunch of pizza in an outdoor café, we spent the rest of the afternoon exploring the area and taking photos of the bridge, harbor, and iconic Opera House. We learned about the vital cultural and religious significance of Ayers Rock to the traditional aboriginal tribes and marveled at its ruddy beauty while walking around the enormous monolith. Coral in the Great Barrier Reef comes in many sizes and shapes. A flight to Cairns to visit the Great Barrier Reef was the final leg of our overland tour. A full day excursion to the reef for snorkeling and other adventures was definitely a highlight of the trip. 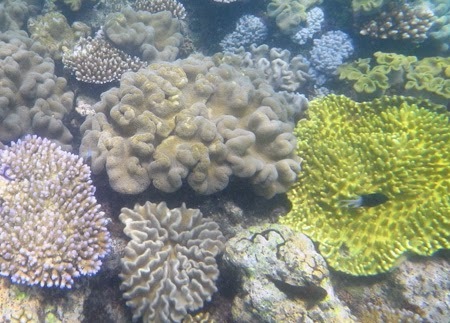 Although there are 2,904 individual reefs with 900 islands and many channels between, we were delighted to see even a portion of the spectacular coral shelf along with a variety of fish swimming there. A week after leaving Sydney, we returned and boarded our Princess ship for a 14-day cruise that included Australian destinations of Melbourne and Hobart, Tasmania as well as scenic cruising at Fjordland National Park and stops at the New Zealand ports of Dunedin, Akaroa, Wellington, Tauranga, and Auckland. Following a heartwarming morning service, Christmas Day was spent sailing through Marlborough Sound. The weather was sunny, seas were calm, and our balcony was the perfect spot for viewing blue water, green hills, and coastal towns. 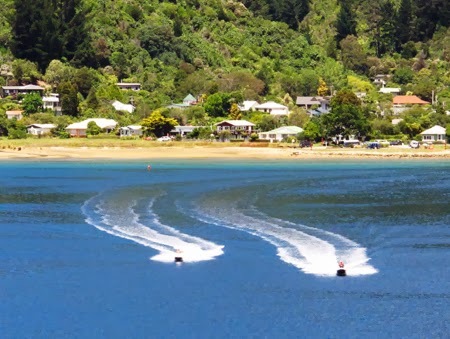 With temperatures in the 60s, locals were out sailing and jet skiing on this glorious day. We arrived home on December 29 from one of the most memorable holidays we’ve ever had.